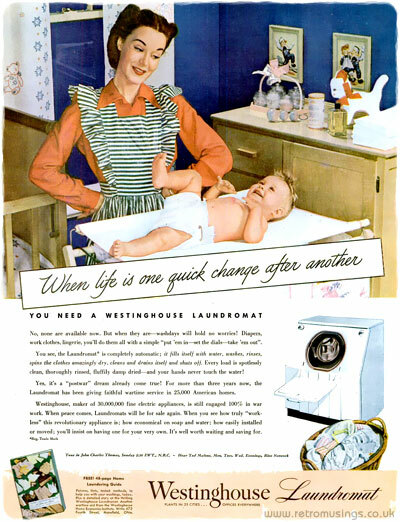 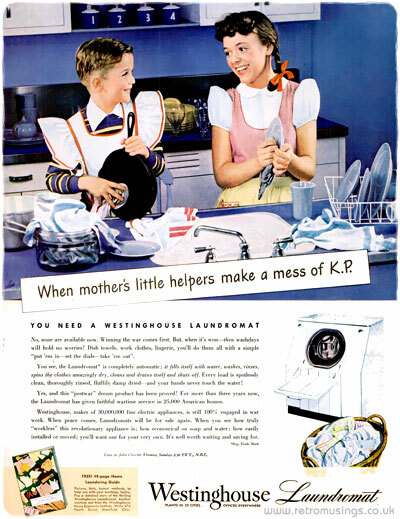 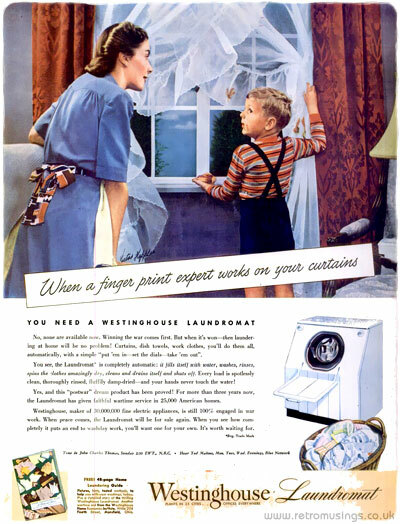 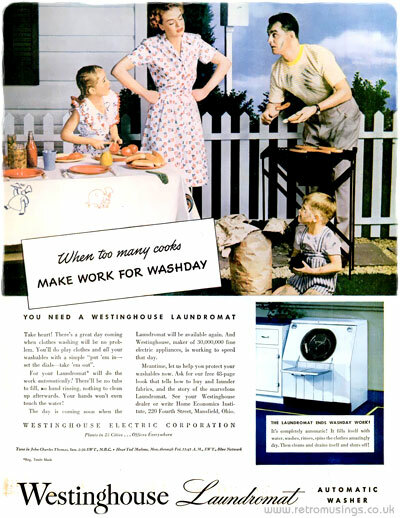 “You can look forward to the day when you can home-launder lingerie and all your other washables, easily and automatically in the Westinghouse Laundromat. 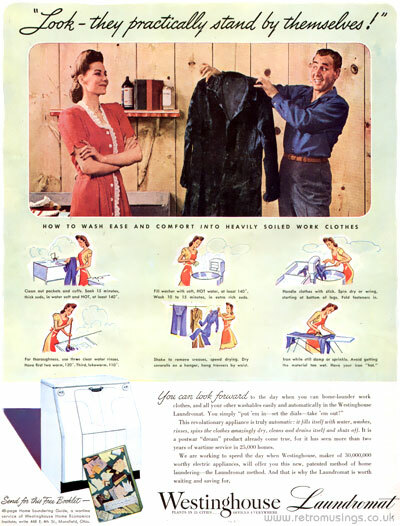 All you do is simply “put ’em in – set the dials – take ’em out!” This revolutionary appliance is truly automatic: it fills itself with hot water, washed, rinses, spins the clothes amazingly dry, cleans and drains itself and shuts off. 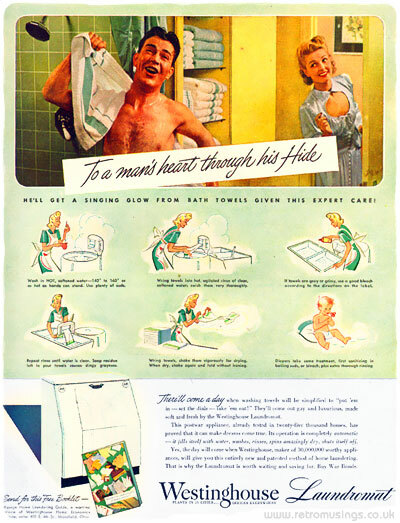 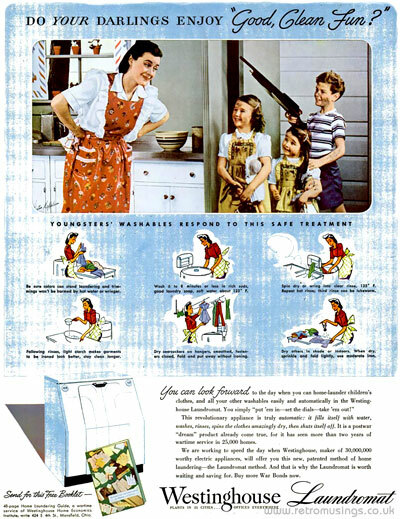 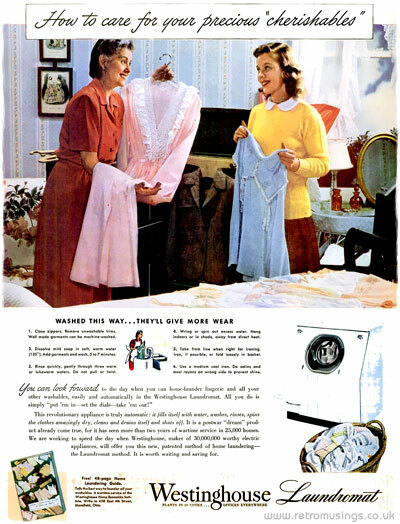 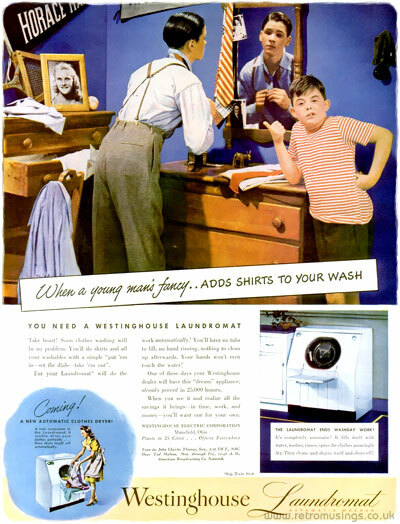 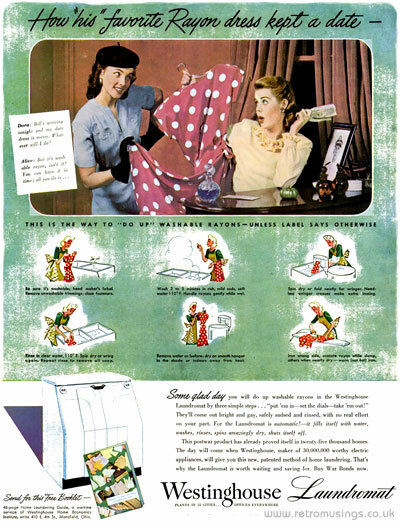 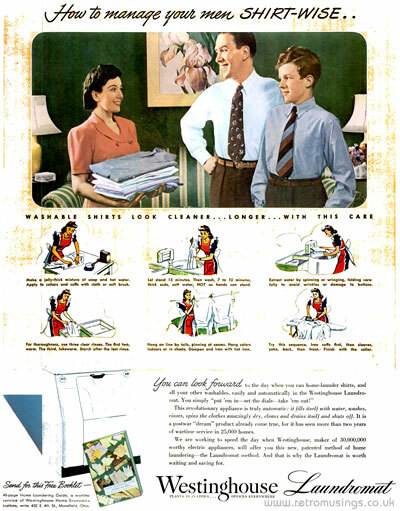 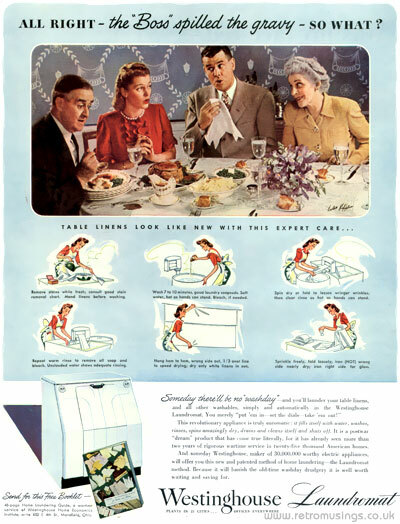 The ads from 1944 had little illustrations showing how to wash laundry until this wonder product became available, and there was also an offer for a free 48-page booklet with hints and tips too.